We are open throughout Half Term, with skiing and donutting available every day. Open Practice – If you have been having lessons with us this Winter and your instructor has given you one of our Open Practice passports, there’s an opportunity to come and play for an hour at 1.30 every day. 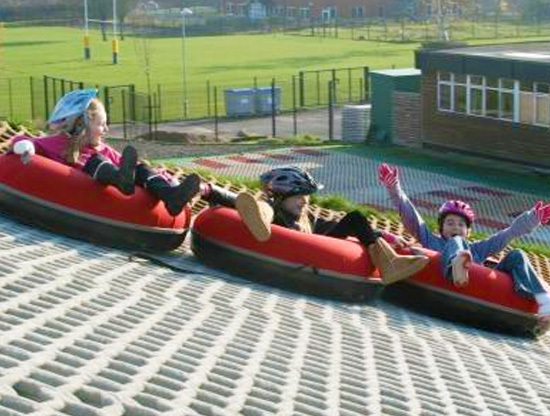 Minimum age 8 years (6 if accompanied by a skiing adult with their own passport), and it’s £10 per person. There will be a Public Session every day from 1.30 – 2.30, which costs £12 per person, minimum age 6. If you’d like to come at a different time, or book a private session, please give us a call and we will see what availability we have. All sessions must be booked in advance, please call 01483 504988 or email us for further details or to book. If we don’t answer the phone, it’s better to email us than to leave a message.